Projektet draws on the notion of the immune system as a bio-artistic blueprint of personal and cultural changes. 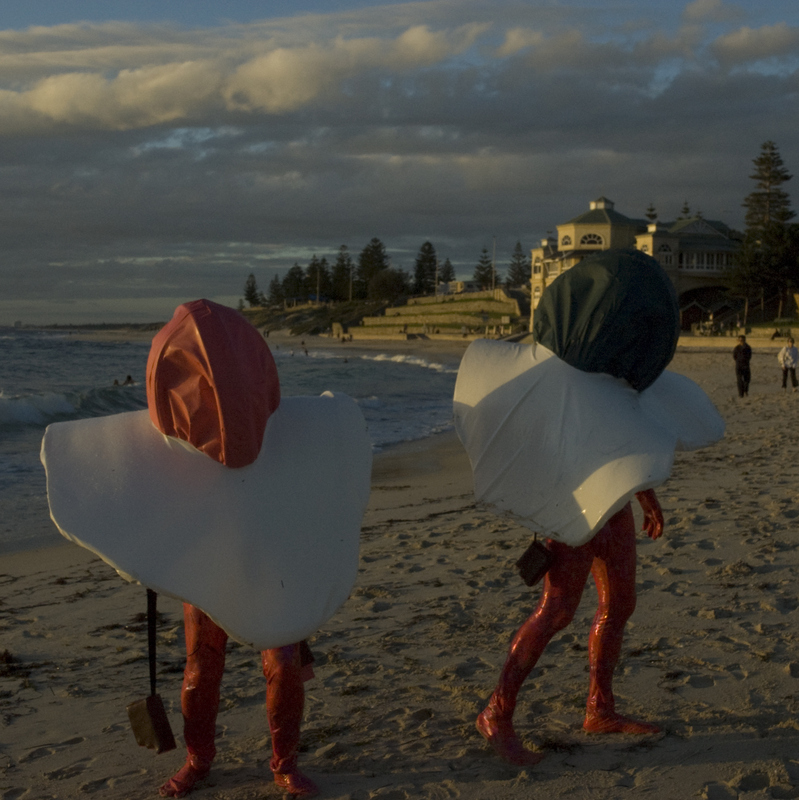 In a joint residency with SymbioticA, Amanda Newall and Ola Johansson conduct lab-based research along with applied performance work in local communities in the metropolitan Perth area. Amanda Newall is Senior Lecturer in sculpture at Royal Institute of Arts (Kungliga Konsthögskolan) in Stockholm, Sweden. She is also conducting a doctoral project at Chelsea College of Art, University of the Arts, London. She has taught sculpture, socially engaged art, curatorship, professional practice and new media at Auckland University, Lancaster Institute for Contemporary Arts (UK), and has exhibited numerous international shows. Ola Johansson joined Theatre Studies at Lancaster University as a lecturer in 2005. He holds a BA from New York and Stockholm. He wrote his PhD at Stockholm University, Sweden, about performance art and contemporary theatre, with a special focus on the live art of playwrights and directors like Richard Foreman, Samuel Beckett, Lars Norén and Christoph Marthaler. His doctoral dissertation, The Room's Need of a Name: A Philosophical Study of Performance, was awarded the prize for best PhD in the humanities at Stockholm University in 2000. He has since published articles that relate live art to philosophical and anthropological domains. He has also worked as an editor, reader, translator, theatre and culture critic, and documentary journalist for Swedish as well as international journals, publication companies, and media. He has been an editor for the Swedish theatre journal Visslingar & Rop, with special responsibility for the theory section since 1998 and a theatre and cultural critic at Svenska Dagbladet (Swedish Daily Post) 2000-2005. The immune system can be seen as the metaphorical factor of applied performance, which makes the latter artistic practice more than simply social work. Transposed into a functional nomenclature, the immune system makes a larger body stay healthy by encountering visitors (pathogens) by way of recollection, accommodation, identification, discrimination, protection, and aggression. But it may also learn to live with strangers, ad interim, even if it doesn’t quite know who they are. This captures the current challenges of contemporary applied performance very well. Applied performance is used when social crises require extraordinary management beyond simple solutions. Such conflicts often subsist on deep structural and implicit behavioural attitudes between two parties in situations of, i.e., racism, bullying, gender discord, postcolonial disputes, ecological predicaments, and so forth. Applied performance is often initiated by a third party, e.g., extension workers in non-governmental organizations, who approach conflicts with an equally cooperative and critical mind towards the host culture, but also those who choose to participate in projects.